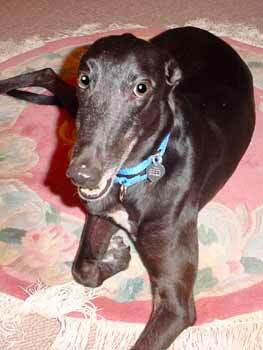 Boo's KoKa Mo raced at the Wichita, KS track for more than 2 years. 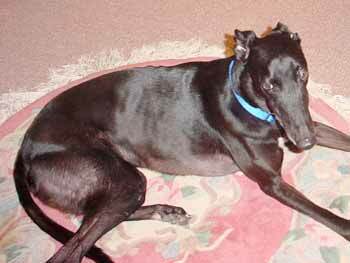 KoKa Mo is a beautiful black 5-year old greyhound with a personality that is very intelligent, playful and loveable. He is just discovering toys, and thinks they are so much fun. KoKa Mo obeys very, very well and just wants to please his foster family.